OMG Posters! 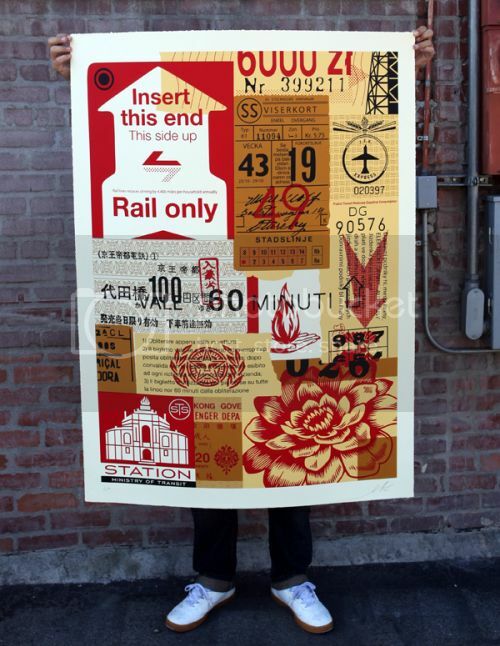 » Archive "Station to Station" HUGE Art Prints by Shepard Fairey (Onsale Info) - OMG Posters! 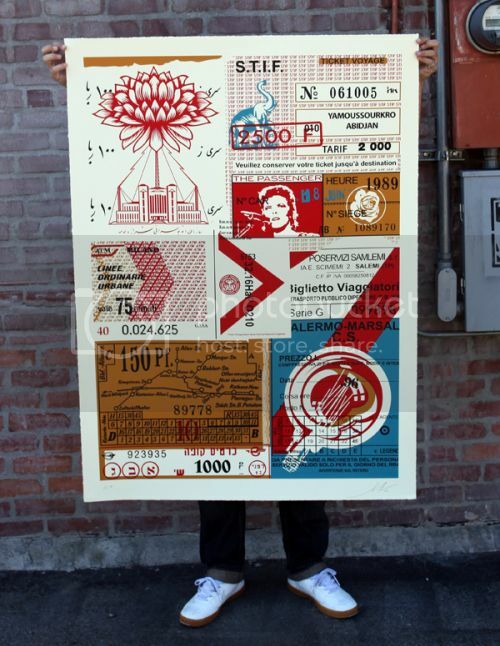 These gigantic new art prints by Shepard Fairey will be released today. 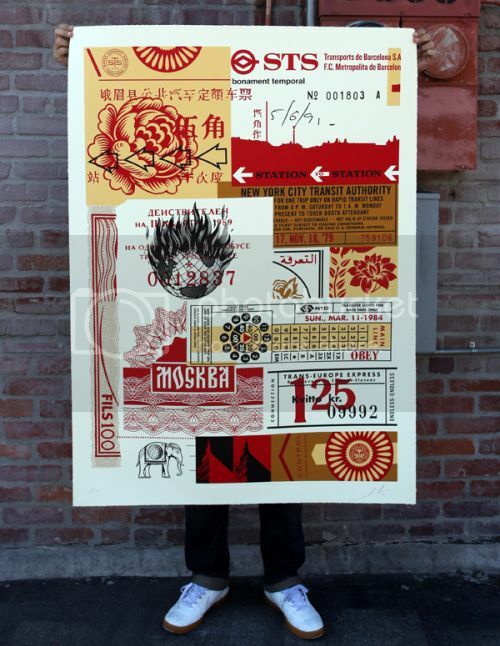 “Station to Station 1-4″ are 39.5″ x 54.5” screenprints, have editions of 50, and will cost $850 each (or $3200 for all four). They go up today (Tuesday, November 27th) at 10am Pacific Time. Visit ObeyGiant.com. 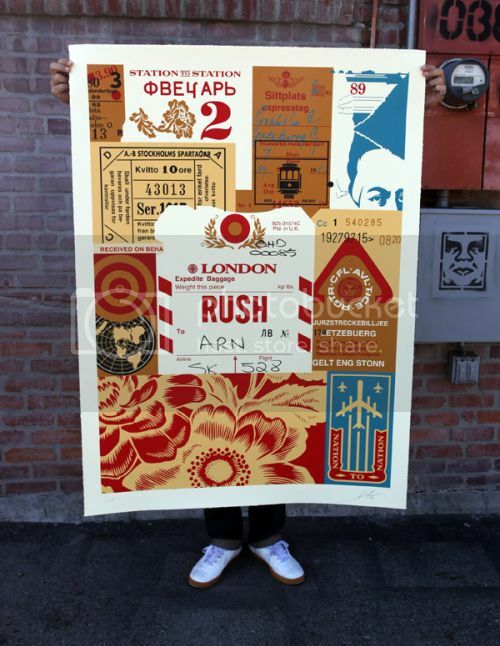 These are a cool departure for Shepard Fairey. I like the 3rd one down. I actually like these! Kudos!